What is a better temporary addition to your home decor than fresh flowers? I love flower displays throughout the house and find arranging them a soothing way to pass the time. The scent, the aesthetics of them, you can find flowers to go with any room. I’ve put together a simple step-by-step guide and some tips for arranging your new flowers and getting the best from them. I do not pretend to be an expert, I’ve just put together the tips and tricks I use. Before starting your display, you’ll need just a few items that you’ll most likely already have around your home. 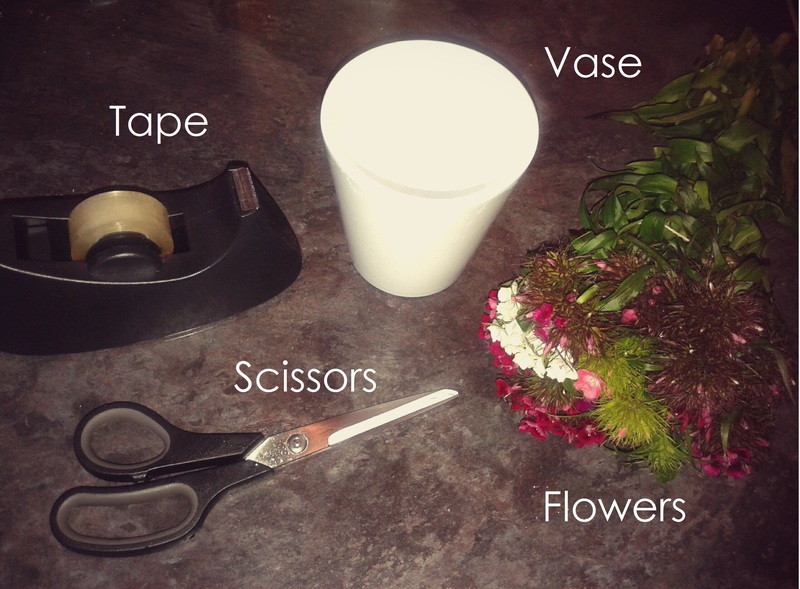 A vase and flowers of your choice, some tape and scissors. 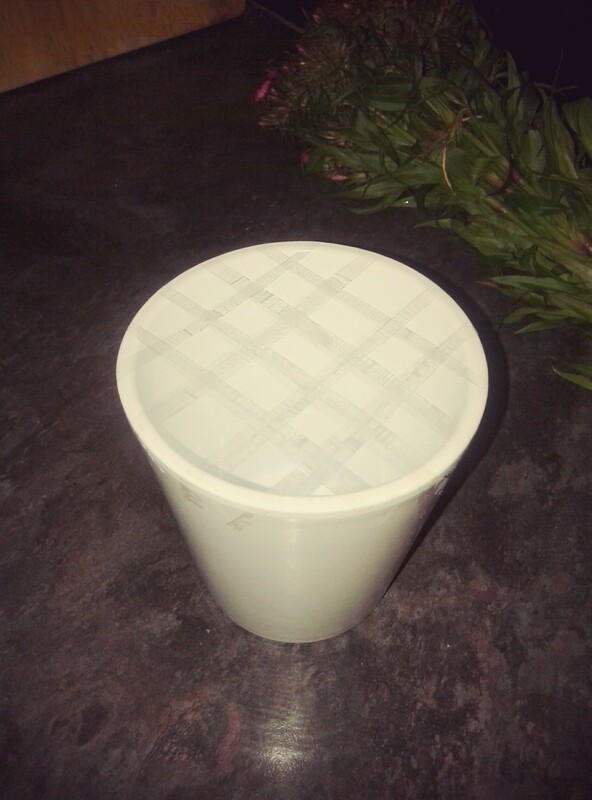 Cut the tape into thin strips and start making a grid over the top of your vase. The grid adds structure when you begin arranging your flowers. Depending on the size of your vase and thickness of stems you can use your best judgement and do as many, or as little, as you like. This does not need to be perfect. Tip: Adding water and any plant preservative you have before making your grid makes this first step easier. 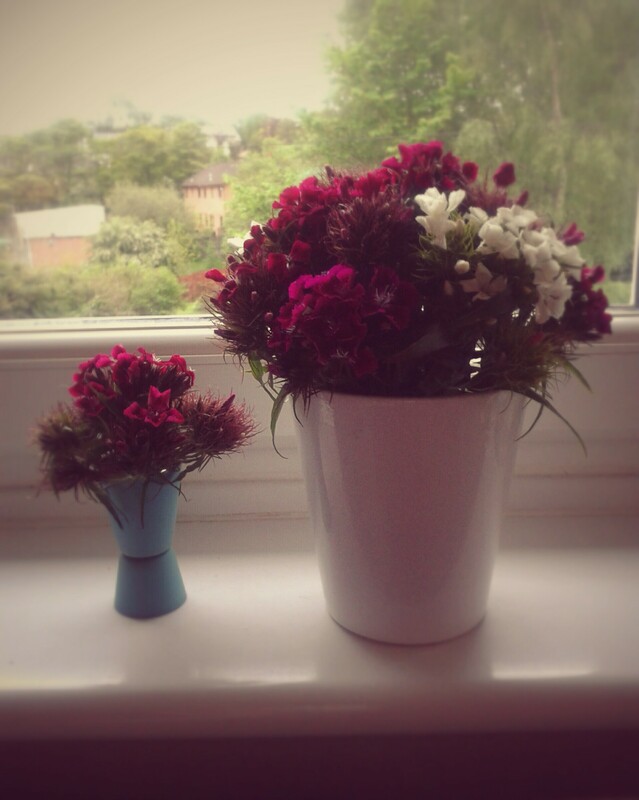 I’m doing a favoured rustic looking display with Sweet Williams (you can do whatever arrangement you want from here on out but this is what I’ve done today). I selected a stem with many flowers, the grid let me stand my first flowers in the centre and picture what length I wanted it. Also, it allows you to play about and determine the placement. Tip: Always remove leaves that sit under the grid and never have any under the water level, the leaves will rot and pollute the water. Keeping any leaves you want above the grid helps prevent them falling in. You can use your centre stem to determine where you want surrounding flowers to measure up to, I’m wanting flowers towards the outsides to be a bit shorter. 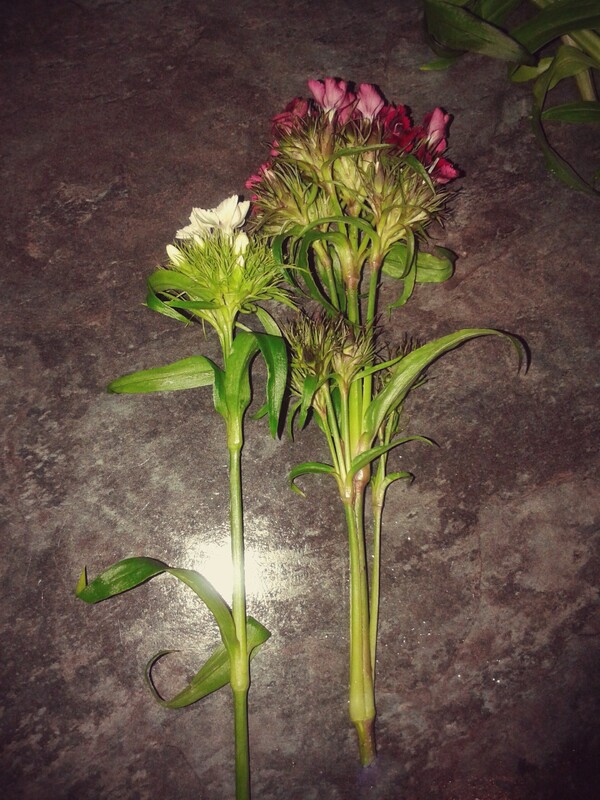 Tip: Cut stems at an angle, it allows for a bigger surface in which the flower can take in water. Now it’s time for the best bit, don’t be shy, be creative! You can spend as much time as you like perfecting and rearranging until you’re happy with the outcome. Experiment, there’s so many different arrangements you can do, next time you can change the flowers, mix different flowers together, change what you’re putting them in. Tip: Changing the water every other day will help your flowers last longer. 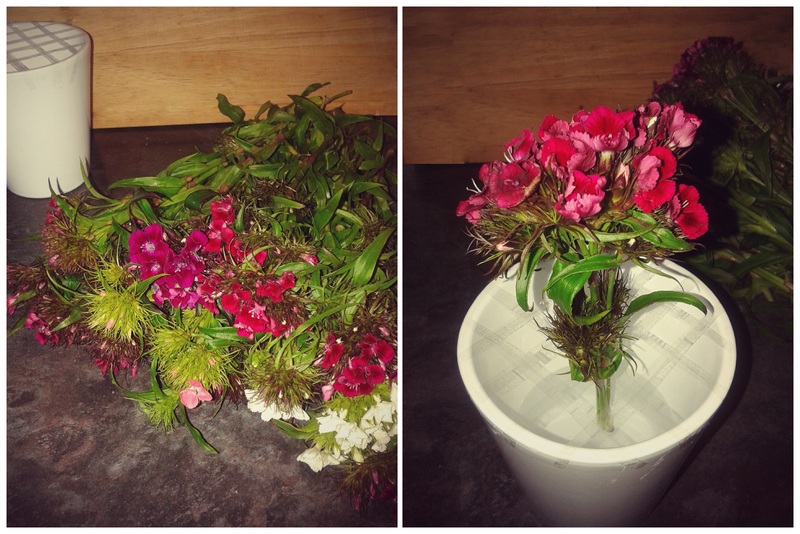 You might have to remove some flowers before pouring out the water. My final display along with a tiny arrangement I made out of some left over flowers. You can turn countless things into a display (as seen above) they’ll be different each time and be a beautiful addition to your home. Tip: Flowers will last longer if stored in a cooler area of the room. I’d love to hear your thoughts below. 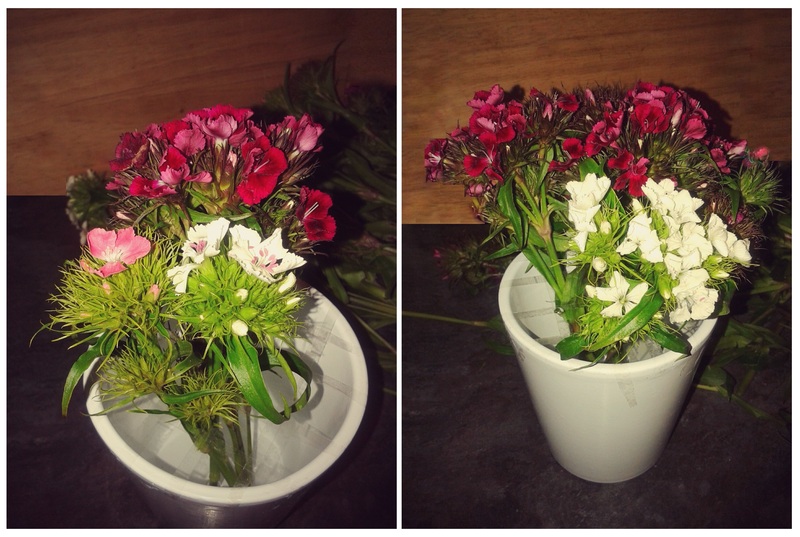 Do have any flower arranging tips? Thanks for these tips for a flower display. I’m glad that you explained it could be fun to spend as much time as you need because there can be so many different arrangements you can do. it also sounds like a chance to experiment and see what arrangements work and which ones don’t.